Party at the Races promises to offer all the great music and thrills of a UK festival minus the routine Coldplay headline set, the 3 mile hike back to your tent and mud up to your knees! 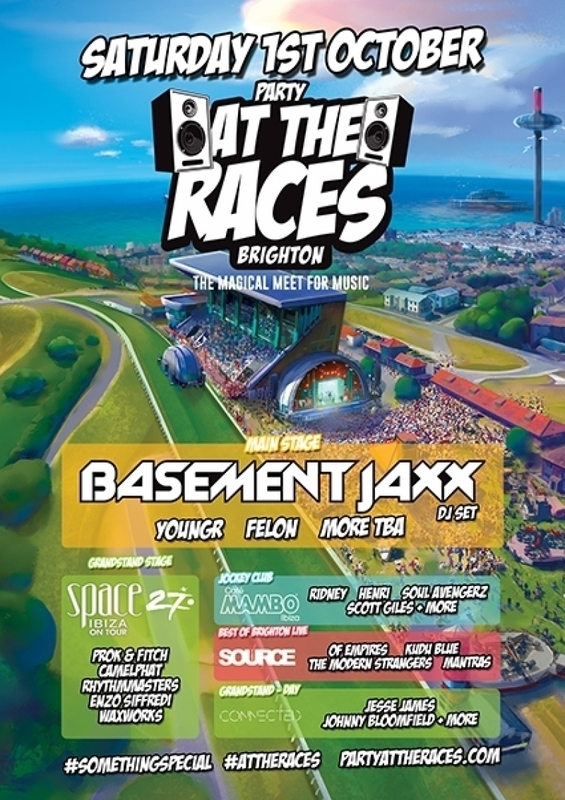 Saturday 1st October is the date for this dance music extravaganza, all taking place in the unique setting of Brighton Racecourse. Café Mambo are hosting their very own area, taking over the VIP Jockey Club which will see performances from house music heroes Soul Avengerz, LA´s rising star of electronica Henri alongside Café Mambo regular and local lad Ridney. Basement Jaxx will treat visitors to one of their legendary eclectic DJ sets on the main stage whilst Space Ibiza will also be jetting in to host the Grandstand Stage, featuring the likes of Prok & Fitch, Camelphat and the Ryhtm Masters. We´re not hedging our bets here but for those who can`t make it over to Ibiza for the closings that weekend, this will surely be the next best thing!